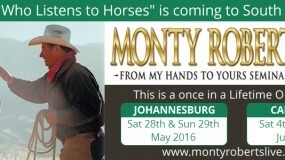 The concept of a human being the leader of a herd came about when Monty Roberts first appeared commercially in the equestrian world. 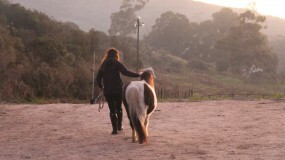 There was buzz about the concept of Join-Up and those individuals who wanted to opt for a more natural approach to horse training started using phrases such as join-up, dominance, submission, herd leader, to describe how they were effectively communicating with their horse in an equine-friendly way. 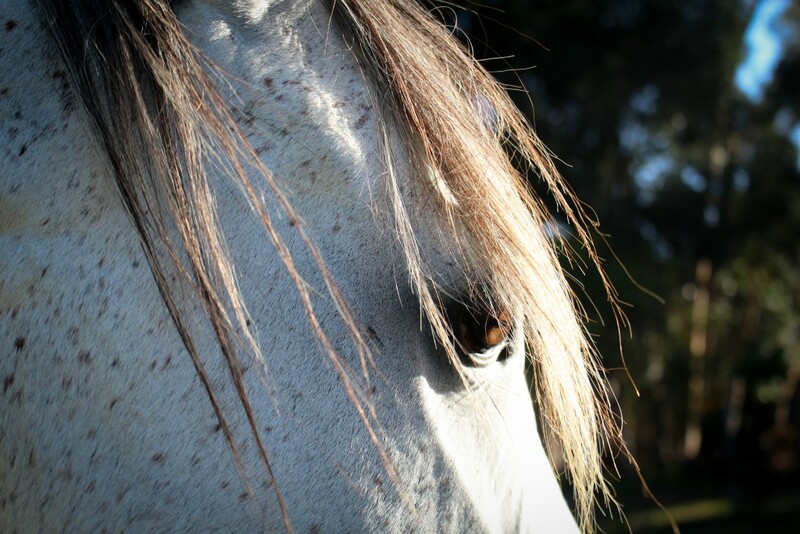 New research is constantly being discovered and various studies in the past few years have shown that there is a heart-heart connection between horse and human, due to the intense magnetic field surrounding a horse’s heart. 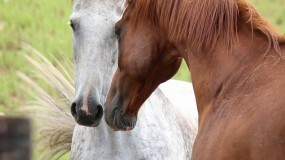 Another study showed that horses became a reflection of our unspoken emotions us. 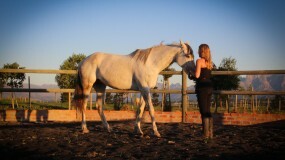 Yet another study took this a step further and discovered that this relationship is much more intricate than we realize – horses are able to mirror our emotions, but they are also able to sustain long-term emotional damage by taking on our emotions. What this means for Natural Horsemanship in general is that what may seem natural now, could be completely falsified in a few years’ time. A Universal truth that I have personally discovered through research and experience is that the herd leader is not actually a member we should want to mimic. Herd leaders, regardless of gender, have the responsibility of keeping the herd safe. They are not responsible for minor squabbles, but will protect their herd from new members to the point of utter exhaustion. They are frequently the first to sense danger, changes in their environment or unrest in the atmosphere. Previous post: Who are you to your horse?